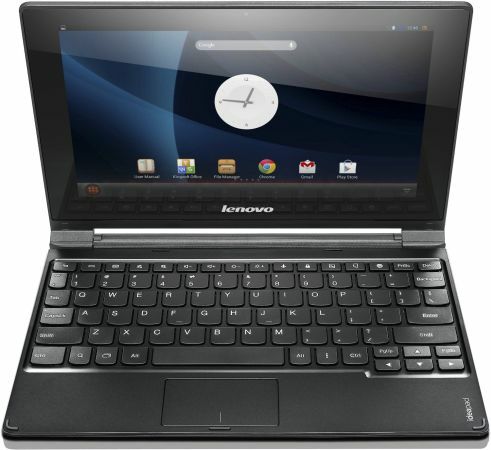 Levovo, the world most famous and well known PC manufacturer has announced a new Android based Laptop, the Lenovo A10. The incredibly runs on Android 4.2 Jelly Bean Operating system and comes with some nice specifications. The company very recently entered the smartphones market with some smartphones and tablets. The Ideapad laptop has a 10.1 inch 10 point multi-touch display with 1366x768p resolution, 1.6 GHz quad-core Cortex A9 CPU and 2GB of RAM. It feature USB, micro USB, HDMI port and headphone jack. It is 12.3mm thick and weighs 1 KG and it comes with Accu-type Keyboard. It comes with stereo speakers, 0.3MP webcam and has 9hours of battery of active use, such as video play back. The Lenovo A10 Laptop price is not revealed yet.